This is short (4 hours) course the club runs for Post-PPL members, focusing on improving short field take-off/landing & cross-wind technique at the little grass (often unlicensed) farm strips that are scattered all over the country. I’ve landed on Grass runways at Cambridge & Sywell, but I’m not sure I’d be confident to even attempt to find a grass strip like Marshland – let alone try landing there! There’s < 15 concrete runways in a 60nm Radius. At 1-2/month, I’ll have visited them all within the year. Having the skill set and confidence to go to the ~30+ farm strips in the same radius will keep things much more interesting – then I can go back to the ones I like, as I like, not just because I’ve ran out of ideas. Everyone I’ve spoken to who’s done it said it’s great fun. I’d expected the briefing to be a drilling on how well I knew my 172SP Pilots Operating Handbook and associated performance facts and figures. I’d done some brush up revision just in case, but actually the briefing was considerably better and all round more interesting then I’d imagined possible. 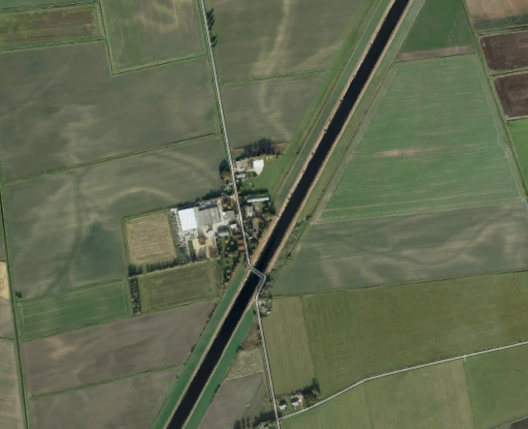 Some interesting facts & history about why even spotting a farm strip from the air can be hard (Windsocks might be considered an “invitation to land”, that can lead to all sorts of insurance issues. Or you might actually dare use it for wind information, but what if they’ve tied it down for the day?). Remember most of these places are unlicensed, they’re not required to have a windsock, if they have one there’s nothing stopping them tying it down to a post. Runway centre lines & other such markings are optional :-\ you get the idea!! If not just look at that picture of Marshlands again: Runway or someones’ back garden? So if you look low, add some power. If the airspeed drops below 65 knots, point the nose at the ground more – if that makes the picture look low, add some power. What does this mean in practice? More often then not, you’ll find you’re landing with all the power OFF maybe 200-500ft above the ground with about the same distance to run. Now if you’re still high, what can you do about it? Nothing! In Control Theory speak, you’re now technically out of control. Not quite true, you might argue with me that you could side slip – fair enough, but perhaps go back and read the Flight Performance (PPL4) book again, one major risk with side slipping is your airspeed indicator will begin to read significant error, not entirely ideal, especially if you need to land on a specific point and therefore fly an accurate airspeed to that point. Attitude controls Altitude (point the nose where do you want the plane to touch down). Now the idea is to point the nose at the landing point and keep that point constant, if that stays constant, you will touch down there. If pointing the plane at that particular angle causes the aircraft to lose airspeed, add power to get the airspeed back. Now we’re in control of where the plane lands, we could theoretically point the plane quite considerably at the ground, so it’s less likely we’ll run out of elevator control then it was in the previous technique that we’d run out of power control. If we find we don’t need power any more, the plane must still be aiming at the point we want it to land. Point and Power is the technique used by all airliners, it becomes obvious why when you remember that fast jets use Auto Throttle: Set an airspeed on the computer and all your left with Elevator control to point the jet at the bit of runway you want it to land on. The computer will do whatever it takes to ensure through all your pushing/pulling, airspeed stays at the set final approach speed. If Point and Power Technique is so good……then why isn’t this taught to all PPL students first??? If airspeed is critically low, pitching nose down is a safe option as it reduces wing loading (therefore reducing the stall speed – and thus increasing the safety margin to the stall while increasing the airspeed). Aircraft can stall irrespective of power setting. They stall because the Critical Angle of Attack has been exceeded…..so reducing the Angle of Attack by pointing the nose down, takes you further away from the risk of a stall. In the event of Engine Failure, the control column becomes your only means of controlling airspeed. In an emergency humans revert back to the training drilled into them – in a student PPL’s case, this would then be to control the airspeed of the approach with the control column. At slow airspeed, pitching nose down remains consistent with the training for Standard Stall Recovery. Essentially: For an inexperienced pilot, it’s safer, but at the expense of accuracy. As landing distance available gets closer to landing distance you require, you could argue that a precision landing becomes a safety requirement. No points for avoiding the stall, but floating down the runway and crashing at the other end!! The POH for a 172SP says on an average day, landing on grass at ~1000ft elevation, you’ll need ~2,260ft from 50ft above the runway. So being 50ft over the 28 runway numbers is going to be cutting it a little thin!! However, only 870ft of ground roll is required, so if we touch down ON the 28 numbers, we should half the runway left when we stop – that sounds a lot better. Perhaps that gives a real world example for when accuracy of landing technique & touch down point becomes as important as not stalling it at 50ft. Plan of attack was to go do a couple of touch and goes on 05 Grass, then if that was ok and the cross wind would allow try 28 Grass. If the wind gods really played fair, possibly even try 10 Grass, but that was looking unlikely with the wind. To avoid embarrassing myself too much, I’d recently flown 05 grass solo. If nothing else this helped my confidence and didn’t leave me flapping on the first circuit wondering when to turn and worrying about finding the runway. It’s been months since I’ve taken instruction while landing a plane, so that was a little bit strange. I’ve got quite used to my passengers going quiet at this point and just focusing on the task of landing. Now I was working to land it while not looking like I should never have been granted a pilots licence!, listening to the instructor and trying to best apply a new landing technique. It wasn’t as close to the numbers as I’d have wanted, but it was a decent enough grass landing with a good touch of cross wind technique required for good measure. My one mistake I wanted to correct was that I’d not fully appreciated the wind on the turn on to final, as a result I’d turned a little to soon. A mistake I’d occasionally found myself making on my solo grass circuits, was forgetting to raise the flaps on the climb out (Yes it’s on the checklist). The reason for this is that on the main runway, you’d raise the flaps fully while on the ground roll, on the grass you raise them to 10 degrees – the grass runway also has a lot more going on in the ground roll, the bumps, re-setting the flaps, getting the power back in a much shorter distance. I made sure to correct this now, above 200ft with a positive rate of climb : Flaps up. Under careful instruction, I was flying the final approach a lot closer to the stall speed then I’d ever allow myself. I fly final approach at 60-65 knots. Now I was aiming to fly an accurate 50 knots (172SP POH says with flaps down it stalls at 48knots, so you get the idea!). 28 Grass : The very under used runway. Another acceptable 05 grass landing out of the way and with great support from a friendly Air Traffic controller, we repositioned to fly the 28 Grass circuit. In the 2.5 years it took to get my licence, I’ve landed on 28 Grass : Once! It’s a very under-used runway, ATC need to be in a good mood as you’ll be getting in the way of everyone to fly its circuit. The climb out is straight out over central Cambridge – engine failure? The options would be ‘interesting’ and limited (a football pitch or broke basically). It’s 700ft shorter than 05 grass – as illustrated above, touch down early or the book says you might well find yourself running off the far end. Where is the circuit for this runway again? With an instructor though, it was making my day to have a go at landing on 28 Grass, it’s been ages!! A jet at Cambridge meant ATC had to ask us to not turn base leg until we were 2.5 miles away. This would mean flying in over Fulbourn, not sure they’d be thrilled. Much more emphasis on the Point & Power technique, final approach felt like flying right on the edge of the stall. Indicated Airspeed was 49-50knots, as we broke 100ft height the stall warner was intermittently bleeping away, my immediate reaction was to go for the throttle – the instructor assured me it was ok as long as it wasn’t constant. In every way imaginable, this approach felt like a more advanced landing then I’d ever tried to do before, I can only imagine the heart attacks I’d have given other instructors if I’d tried flying approach with the stall warner going off/on/off while not even over the runway! Of course I’m a little more experienced then a student having their first go and learning how to get it down and stopped on the limits, is the point of the training. With the wind, we must have had a ground speed of 35-40 knots and touched down just a tiny bit past the numbers. The plane would have stopped in a heart beat, we’d used maybe 1/4 of the runway and were back on with the power. I’ve never took off from 28 grass, the climb out feels insane, you’re climbing up over the outskirts of the city essentially and you’d never normally be allowed to be at 1,000ft over the houses. I was hoping second time round on 28 Grass would be a charm, but if anything it was a touch worse. I felt a bit more comfortable now withe the airspeed sitting at 50 knots and with the line of trees that await you on the approach, all be them 700ft from the 28 numbers (~10 seconds of flight time from crossing the trees touch down). What I couldn’t quite perfect was that at these slower speeds, the controls were less responsive then I was used to and so need more input, more immediately…… not a million miles from what goes wrong when you first try to master landing. Another touch and go on the grass, but this time I tried too hard to bring it down on the numbers and we bounced. It could have been landed, the instructor was quite clear that he didn’t think it had been a huge bounce and far from the ballooning they drill you to not hesitate on going around for. On my own I think I might have gone to land it, but with an instructor it felt too hard and with so little touch down speed, I wanted to take no chances…….Subconsciously perhaps my biggest fear was reaching the end of this hour and being told I wasn’t good enough and the lesson needed to be repeated before continuing. One final go, this time to land. I’m so used to having some degree of float, that this time I was simply aiming to far before the runway. The result was I had to add power just to reach the numbers, not ideal either, but it highlights the difference 15 knots of approach speed has on your ability to float down the runway……approach at 50 knots, forget floating. Considering that on face value, this was “just” circuits at my home airfield. I enjoyed myself immensely! I felt I learnt a lot from only 50 minutes in the air and that the theory explained in the briefing, I could now fully appreciate from practical experience. This entry was posted on Friday, September 19th, 2014 at 4:20 pm by PHC	and is filed under Further Training. You can follow any responses to this entry through the RSS 2.0 feed. You can leave a response, or trackback from your own site.